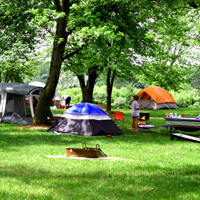 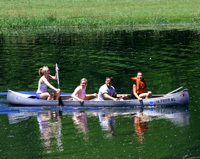 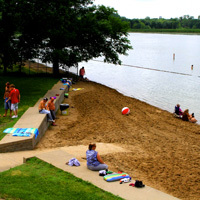 Bigelow Park is located one mile west of Salix, Iowa on a 600-acre lake known as Brown’s Lake. 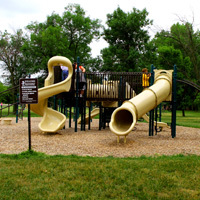 Originally a state park, Bigelow Park is 36 acres and has been managed by the Woodbury County Conservation Board since 1970 and includes numerous amenities. 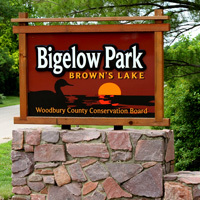 Brown’s Lake is managed by the DNR. 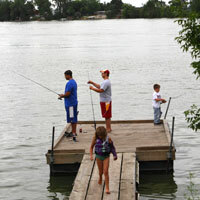 It is a natural oxbow of the Missouri River, formed when the river was free to meander across the river valley. 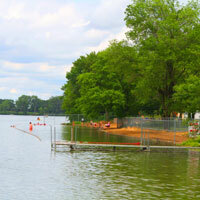 Brown’s Lake offers excellent fishing opportunities for largemouth bass, northern pike and channel catfish. 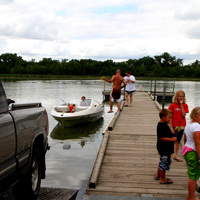 A fishing dock and boat ramp provides access to the lake, which is a popular area for recreational boaters and water skiers as well. 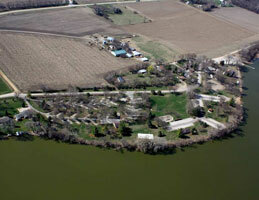 A public hunting and DNR wildlife management area is located on the west side of Brown’s Lake. 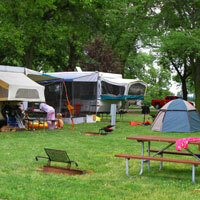 Park facilities are open and pressurized water systems are available May 1 through October 31.